This book had been suggested to me a number of times, and when I saw who was going to play Thomas in the movie, I decided that I HAD to read it. I have to say, I was a bit disappointed. I am confused how people relate this book to The Hunger Games. As far as that goes, I just can’t see it. Not all dystopian novels are like The Hunger Games. That said, majority of this book, I found myself extremely confused. I figured it was the point to be confused, because we learned what was going on as Thomas did. Upon finishing the book, I figure the ending was faked, but I am still confused. Will I continue on? Sure…eventually. This series is not at the top of my list to finish, but at least I have read the book prior to the movie’s release. Some of the issues I had with this book was that NO one seemed to know what was going on. You would think they would have been issued SOME guidance somewhere? I understand, ultimately, why they didn’t have any, but still, the issue became redundant. 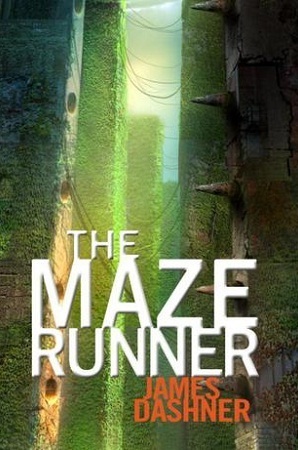 There were multiple times I wondered how in the hell James Dashner got so many books into this series? Another thing I had an issue with is The Changing. I am still not sure what it is. Or why the kids went through it when they got stung. And why they went crazy? I still do not understand the purpose. Finally, my other big issue, the terminology. I am all for when authors create new worlds, or what they believe the world is going to be like at “The End,” but “shuck” and “shuckface” and the like are a bit much I think. I still don’t exactly know what a Shank is and why they apply a Shank to someone new. I can understand “greenie” because that is what we call people new at something…I have heard “they are still green” etc in normal language. I have a feeling I will enjoy this movie more than I enjoyed the book. That doesn’t happen very often…I do think the author was creative, and this is a new concept, which is commendable. I just really, as I stated before, felt a lot of it was redundant and it felt like a college paper with extra filler to lengthen it up.